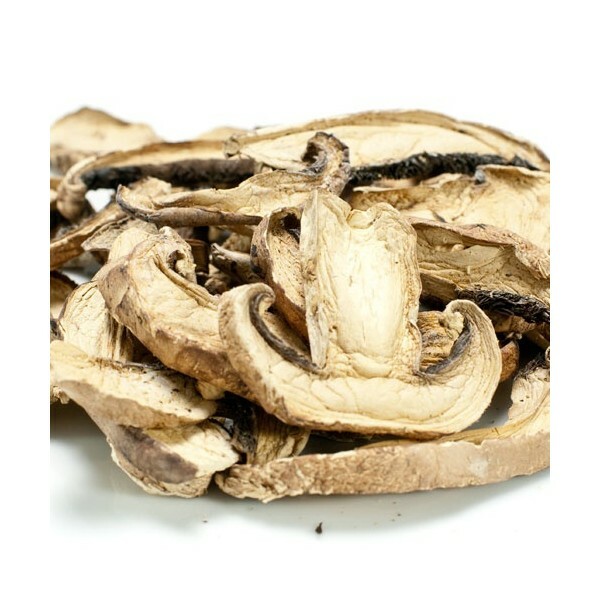 > Dried Mushrooms>Portabella>Dried Portabella - 2 oz. Dried Portabella - 2 oz. Portobello mushrooms, sometimes also spelled portabella, are actually the same species as a crimini mushroom. Generally, the mushroom is called a crimini when small and a portabello when its cap has grown to about four to six inches in diameter. These large brown mushrooms have a meaty texture and can be grilled, roasted or used as an ingredient in other dishes. Once rehydrated, Dried Portobello mushrooms can be cooked in stir fry dishes, added to salads, or otherwise used as you would fresh portobello slices. Portobello mushrooms are one of the best sources of L-ergothioneine, a powerful antioxidant. Minerals in portabello mushrooms include iron, magnesium, manganese, calcium and zinc. Portabello mushrooms also contain the vitamins pantothenic acid, folate, choline, vitamin B6 and thiamin, also known as vitamin B1. The iron and copper in portobello mushrooms aid in hemoglobin synthesis, which is needed for the transportation of oxygen through the blood. Portobello mushrooms are a source of phytochemicals, food components that are not considered vitamins or minerals. 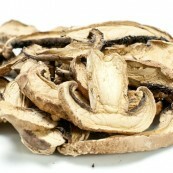 Dried Portabella - 8 oz.